There is a misconception out there that geniuses are born and not made; that successful people are specially blessed people and that only specially blessed people can become successful; that rich people are lucky. All these beliefs are not so true. No one was born to be so and so, it is the little things they did (consistently) along the way that made them who they eventually became...The the things that they were exposed to, or what people around them made them believe was a possibility, or their own desires to be somebody that made them who they are. I have compiled a list of famous people that were once considered failures. A list of people that were written-off and told they couldn't amount to anything, but went on to be famous for their extraordinary achievements. 7. 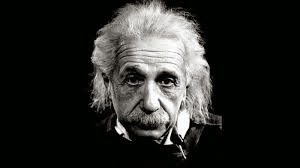 Albert Einstein couldn't talk until he was 4 years old, and didn't read until he was 7. His parents thought he was mentally handicapped, and his teachers told him he would never amount to much. He was eventually expelled from school, and was refused admittance to the Zurich Polytechnic school. He had to go to trade school, and after a year, he was able to get into the University. After graduating, he was the only one in his graduating class that couldn't get a teaching job because his professors wouldn't recommend him. He then settled for a job in a Government patent office. 6. Oprah Winfrey was demoted from her job as a news anchor because her employers believed she wasn't fit for television. 5. Thomas Edison was told by one of his teachers that he was too stupid to learn anything, and that he should go into a field where he might succeed by virtue of his pleasant personality. 4. Now this is an interesting one, because I was just discussing one of his works that was adapted into a movie with my friends this morning. Stephen King's first book, Carrie was rejected a whole of 30 times by publishers. After the thirtieth rejection, he got frustrated and threw the manuscript in the thrash. His wife picked it out the thrash, dusted it up, and sent it to one more publishing house. That story has sold millions, and has been remade into a movie adaption more than 3 times. 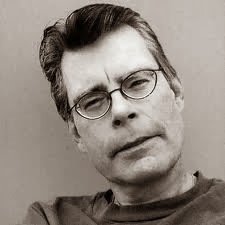 Stephen King still remains one of the best selling authors of our time. 3. Walt Disney was fired from a Newspaper company for lacking imagination and having no original ideas. 2. The first time I saw Vincent Van Gogh's paintings on the Internet, and heard about how much they cost, I thought to myself, 'this man must have been specially blessed by God himself.' The truth is, Van Gogh lived a life of failure, and was a depressed man. He also suffered from bipolar disorder most of his adult life. In fact, he only sold one painting while he was alive, and that was to his friend. Today, years after his death, his painting are worth hundreds of millions of dollars. 1. 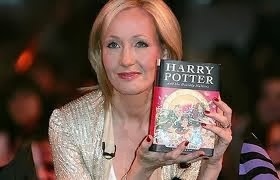 J.K Rowling, the author of the Harry Potter series, and the first billionaire Author in history, wasn't always successful. She was a failure well into her 30's. She had failed at all her jobs, was depressed and struggling to take care of her daughter. She wasn't able to keep up with her bills, and depended on welfare for support.